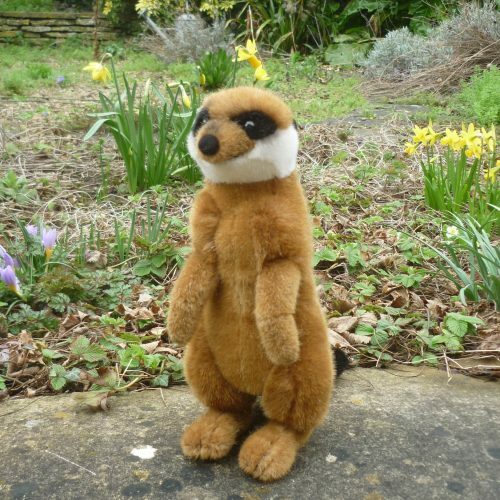 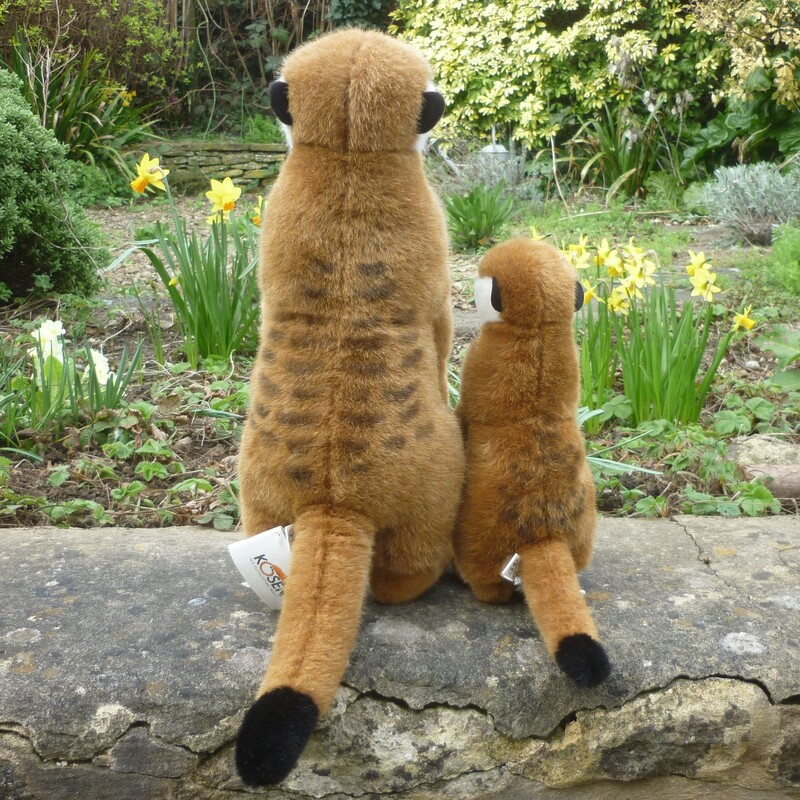 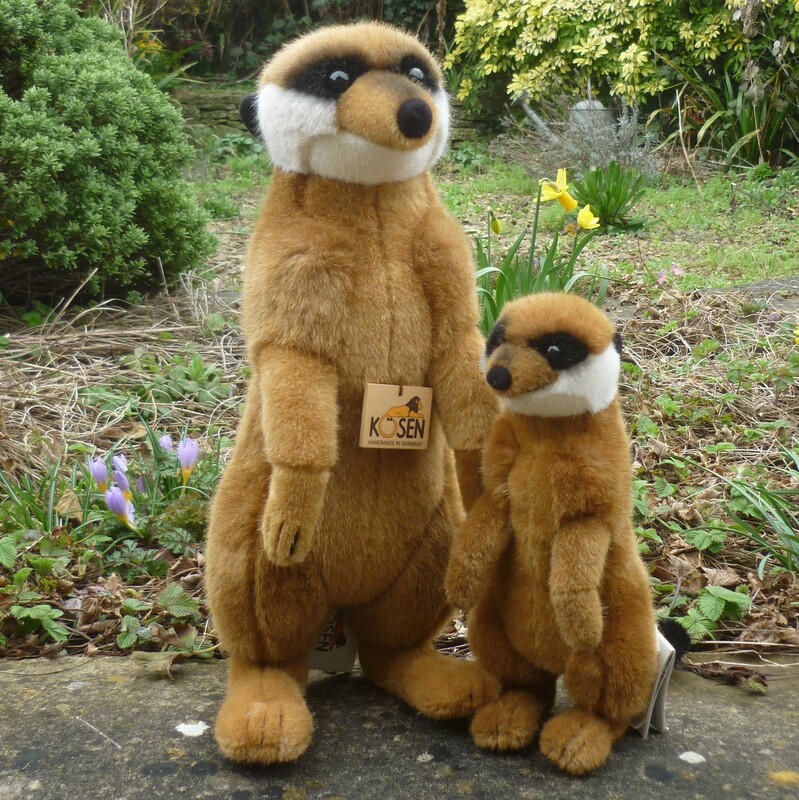 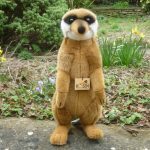 Full of attitude, this small Meerkat is made of light brown, white and black plush. 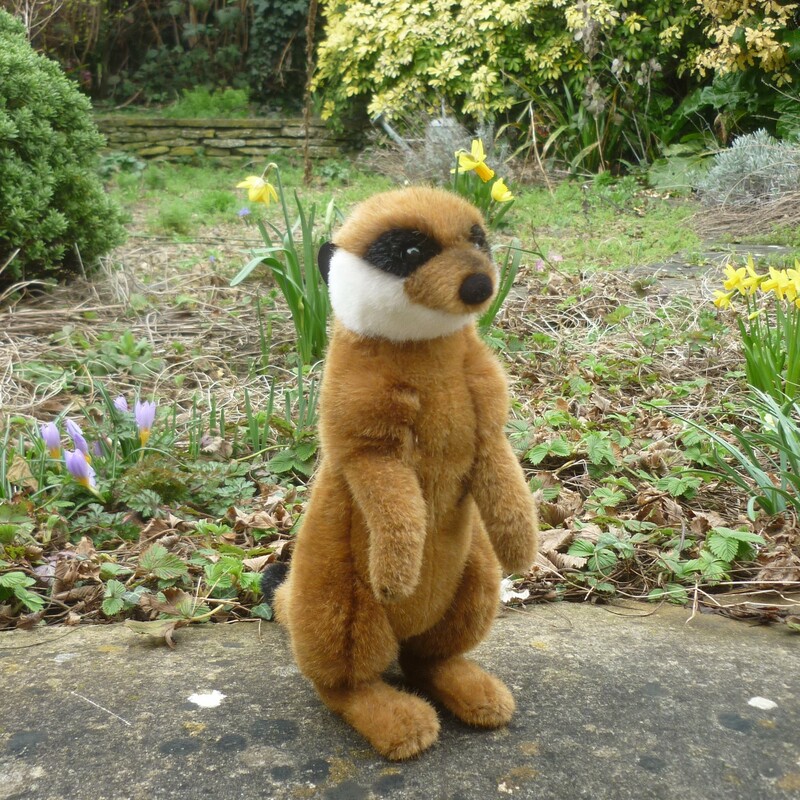 He has black safety eyes, stitched claws and significant airbrushed detail to his back and face, including an airbrushed mouth. 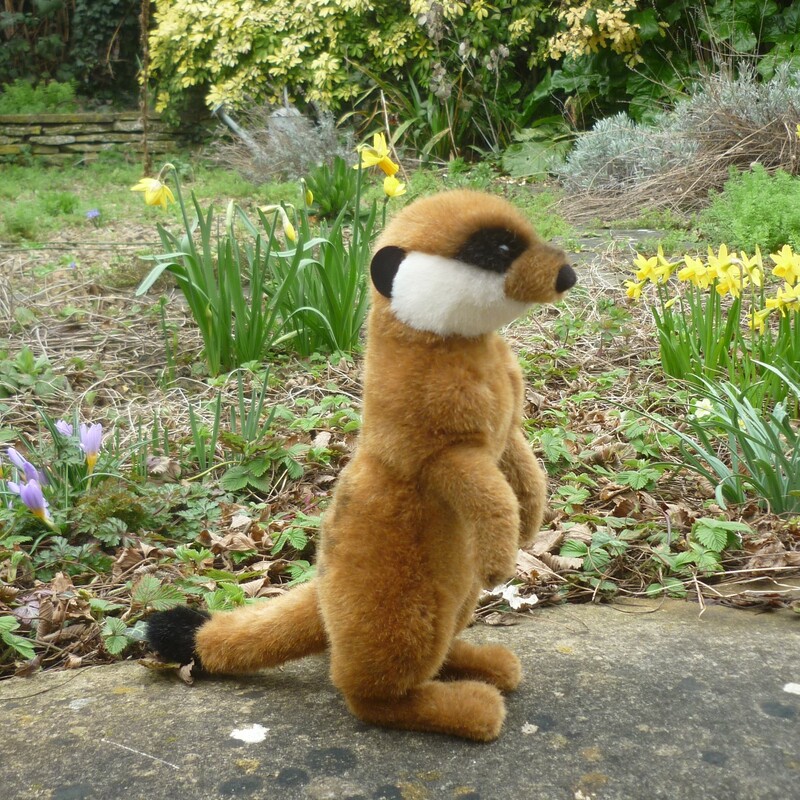 Non-jointed, he can stand freely.